Who do you turn to when you’re stuck? Who can you reach out to if you’re chained to a manuscript in the middle of the night and nothing you write is lining up? You may be lucky enough to have a close writer or editor friend who will drop everything to help you out, but at some point, they’re going to need a break too. Every once in a while, you need some pointers when no one is available to give them, and when all seems lost, what better place to turn to than a book? 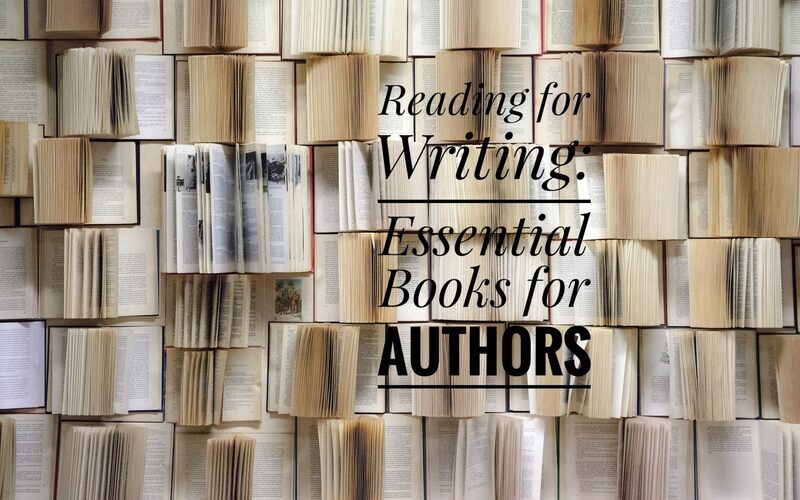 Several seasoned pros are always at the ready when you’ve got a well-stocked bookshelf, so prepare your arsenal with The LetterWorks’ staff guide to essential books for writers! Got writer’s block? Dip into one of the exercises in this book and you’re bound to coax something out of the depths! 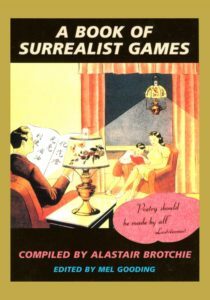 This is a collection of creative prompts, challenges, and idea-prods developed by Surrealists and Oulipo artists to help them approach creating from different angles, often with very specific sets of rules and restraints. This one stands out for me because it is not so much a book about craft, but a book about every other element of writing life. VanderMeer discusses balancing your public and private lives, marketing, maintaining good physical and mental health, and much more. 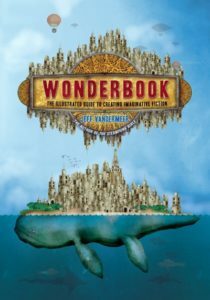 VanderMeer delivers a bounty of insights linked to tales of his own personal experiences—failures and successes alike—and leans heavily on helpful concepts, such as leveraging your actions to benefit your writing career in one way or another. 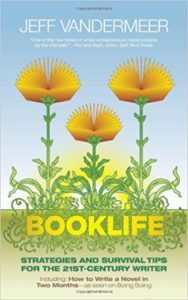 Booklife is also unique in that VanderMeer anticipated the looming expiration dates of some subjects such as social media (the book was published in 2009, and as such, there’s a brief discussion of Myspace), so he had the foresight to create www.booklifenow.com to exist as a support site for both updates to tools in transition, and as a place for writers to continue finding supportive resources of all kinds. While the site hasn’t seen any new content since 2014, there’s still no shortage of helpful information. What more can be said? The Elements is just a classic, boring but useful. Also, it’s nice and cheap these days. 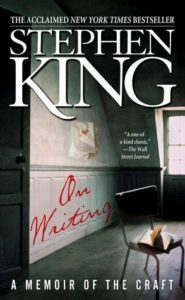 You’d be hard pressed to find a useful list of writing books that doesn’t include this one, but even as my inner contrarian urges me to leave it aside, On Writing, much like King himself, cannot be denied. There’s only one Stephen King, and you’d be remiss to sleep on an opportunity to absorb anything he’s willing to pass on. It doesn’t hurt that his approach here is hilarious and uncouth, keeping you absorbed in what can be a terribly dry subject matter. Before you roll your eyes for including VanderMeer on this list twice, take a quick glimpse at this book. Seriously, just look at this preview. This, clearly, is not your average writing book. It is geared toward visual learners, loaded with pages of diagrams, exercises, essays, and so much more, beautifully illustrated by Jeremy Zerfoss and many others. It also features a bevy of contributions from outstanding writers like Ursula Le Guin, George R.R. Martin, Nnedi Okorafor, Neil Gaiman, Karin Tidbeck, and Peter Straub, to name just a few. If that’s not enough to snag your interest, an expanded and revised edition was released in July of 2018. Forget fueling your creative fire, this book will dump a barrel of gasoline on those hungry flames! 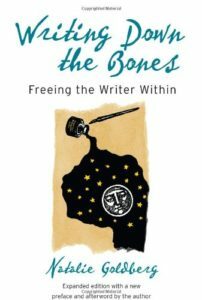 Writing Down the Bones is a helpful jumping off point, especially for beginning writers. It’s packed full of free-writing exercises that help get that pen (or cursor) moving and help transition into a writers’ state. I still use it when it’s time to write but I don’t have a specific project I’m working on. 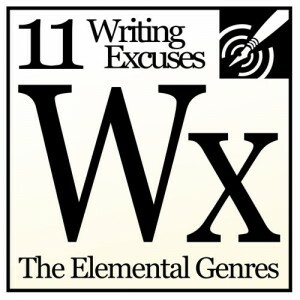 Writing Excuses is a podcast by Brandon Sanderson, Howard Tayler, Dan Wells, and Mary Kowal. Occasionally there is a guest author along with, or instead of one of the four. They cover absolutely everything and their slogan is “only 15 minutes long ‘cuz you’re in a hurry, and we’re not that smart.” It’s light and fun, but packed full of helpful ideas from multiple perspectives. Howard is a graphic novelist, Sanderson likes to write LONG epic fantasy, Mary tends toward realistic fiction on a shorter scale, and Wells writes in a variety of genres. They cover things they’ve done well, things that work, things that haven’t worked, and besides being a lot of fun, it’s incredibly helpful. Each podcast centers around an idea, such as “time,” and how to use that to your advantage in a story. They recommend a book that well demonstrates the idea at hand, then there is the jovial discussion of the book and topic. They end with an actual writing assignment. Now you’re all out of excuses, so go write! Sanderson actually teaches creative writing at BYU and one year decided to model their discussions after his typical class schedule, so if you start on Episode 10.1, it’s like taking a college level writing class for free. Melissa loves recommending this podcast. I wish I could give you a great and comprehensive list of titles that I learned from, but nothing comes to mind. I’ve actually been thinking about this a lot. 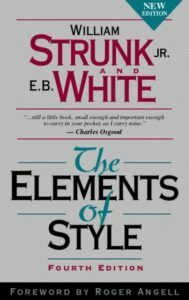 I mostly learned from a great compilation of classics, and nothing in particular about the writing craft itself. I had what I would term a stellar education in the reading of the classics, from the Greeks to the Medieval to the Renaissance to a tour of the Puritans and early American writers. This was all in high school. I studied poetry, from the Fireside poets to Victorians that instilled and firmed up my love of the written word. That in and of itself does not a good writer make, unfortunately. For the heart of writing, no one person inspired me, but my favorite poets are Poe (lamentably still an old emo favorite) and Tennyson. They didn’t have any personal direction to steer me into the field, but their poetry was enough to inspire forever and make me want to repair the cracks in other peoples’ foundations. Can’t ever get enough of it! Note: We aren’t Amazon affiliates, we just love these books! We get nothing if you purchase.